One of my favourite type of YouTube videos has to be the What’s In My Bag Tag. I just love to see what handbag people are carrying, what are their everyday essentials and just how many lipsticks have made there was into their handbag. I recently recorded what’s inside my H&M autumn handbag and have included the video below. 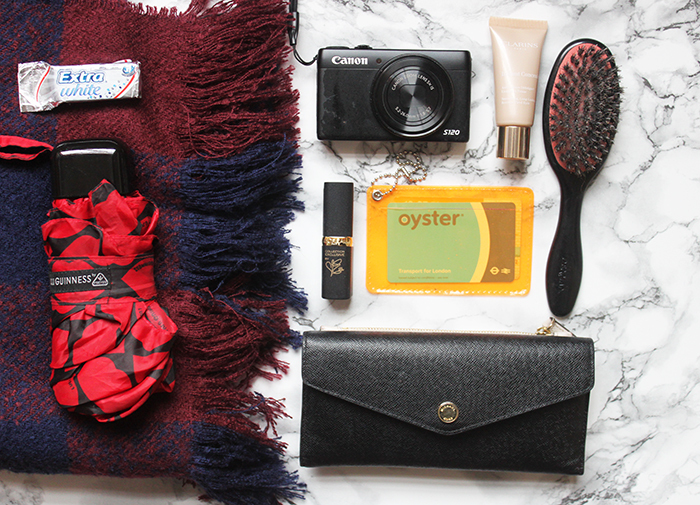 What’s currently in your handbag? LuLu Guiness brolly, so cute!! What eyeshadow combo do you have on? I love it!! Lipstick and hairbrush is essential! I faffed around so much wanting to buy that bag, but for some reason I decided against it…obviously regretting it now! I always like these kind of videos! I need to buy that camera, where did you get that from?